Looks like Abhishek Bachchan can’t catch a break. He has become the favourite target of trollers for cyberbullying and name-calling. 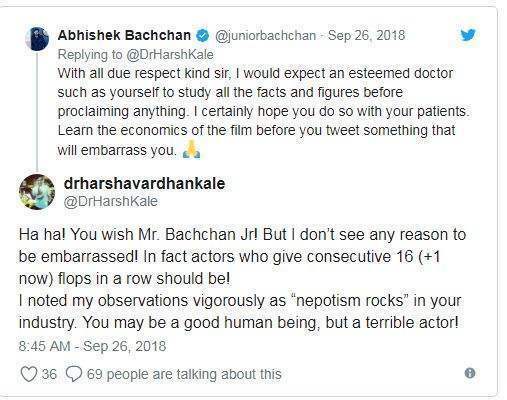 Though Abhishek is a fairly good actor, his average acting career and mediocre filmography have been a matter of gross discussing since ages. 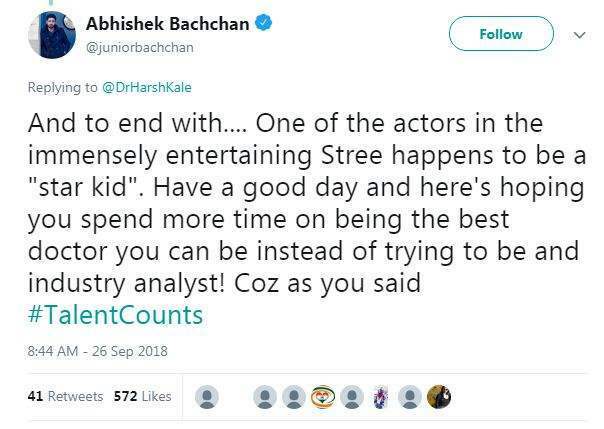 More so because his father Amitabh Bachchan is one of the biggest Bollywood superstars to ever exist and AB Jr.’s career graph pales in comparison. But Abhishek is not the one to get bogged down by the attacks of Internet trolls. Call it his calm personality or maybe he has had a good practice of dealing with cyberbullies, he has mastered the act of giving it back to trolls with utmost wit and chill. Abhishek Bachchan recently made comeback in Bollywood after a hiatus of two years with Manmarziyaan which also starred Taapsee Pannu and Vicky Kaushal in the lead roles. The film is receiving an average response at the box-office. The music is catchy and the three leads have played their part well. But in totality, the film failed to create an impact. Social media gives an open platform to people to publish their abashed opinions. But some people take it too far. The same happened recently with Abhishek. A Twitter user criticised Manmarziyaan and Abhishek’s performance in it. He also brought up the issue of Nepotism. Then he went ahead and said that Abhishek should start a Vada Pav stall. #Manmarziyaan tanked at box-office, once again proving @juniorbachchan to be legend with amazing ability to make good film a flop! Kudos to his abilities, not many have it! 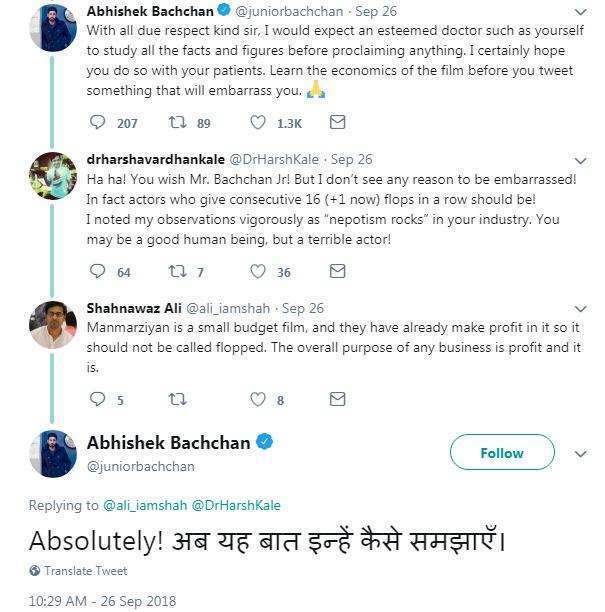 But Abhishek is not the one to let such people get away with their trolling. He replied to the Twitter with much patience and a calm demeanour.